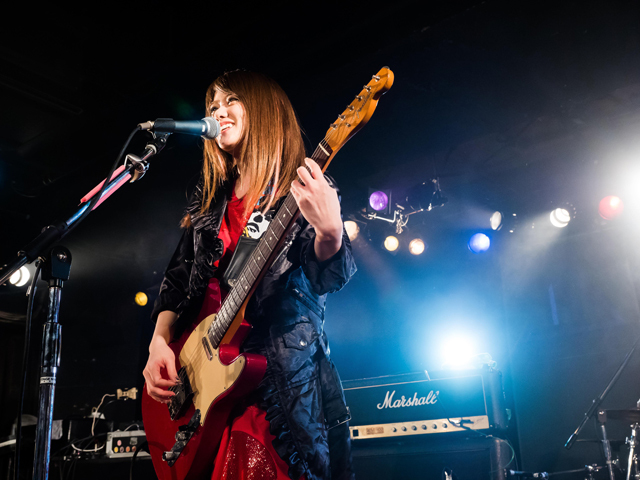 AIMI, a guitarist and vocalist from a Japanese girl band “Stereo Pony” has announced that she is going to release her first solo album. She started her solo career in September 2016, and her solo show at Shibuya O-nest in April 2017 was a success. AIMI on the rise has reached out to her international fans to encourage them to support her fund-raising project on “TOKYO MIRAI MODE” for her first album . Her domestic fund-raising project already reached its goal within eight minutes and the recording has already started. Some of the rewards you can exclusively get from the project are original caps, photobooks, credit on the album. When I was a vocalist of STEREOPONY, I’ve been abroad as concert tours. At that time I was so impressed there were many fans supported me even in foreign countries. Since then I’ve been thinking to reach everyone in any countries as I do for fans in Japan. I can start to record my first solo album because I made my crowd funding project success in Japan. However, only people in Japan could join that crowd funding system I first used. Now I start the same project with Tokyo Mirai Mode because I really want to deliver my album to every single person who supports me, no matter where they live. The fund raised through this project is for the cost of producing/recording the album, the fee of delivery and translation, and any other operating costs. Thank you for your support and I really appreciate that.